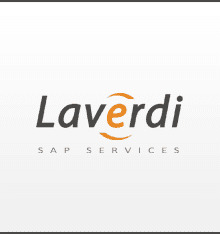 LAVERDI is looking for a TEST ANALYST/TESTER and TEST TEAM LEADER in Lithuania. Yesterday recieved a gift from internet friend, the tester. He had passed the test, ISTQB, foundation level. Send me the book he used for practising - "sample exam questions ISTQB". "120 Practise questions and solutions" . Will take ISEB testing foundation exam. 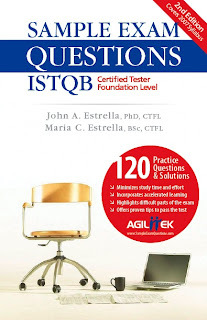 As foundation ISEB now relates to ISTQB foundation level, the book should help. Going to passs it until Christmas. Stil some time left for studying. Sorry, english readers, this post only in lithuanian. Lietuviams testuotojams: nebloga kolegos nuoroda apie testuotojų sertifikavimąsi, išskirtinai ISEB, ne ISTQB. "And what starting salary were you looking for?" The interviewer said, "Well, what would you say to a package of 5-weeks vacation, 14 paid holidays, full medical and dental, company matching retirement fund to 50% of salary, and a company car leased every 2 years - say, a red Corvette?" The Engineer sat up straight and said, "Wow! Are you kidding?" And the interviewer replied, "Yeah, but you started it." 24. "It works fine on MY computer"
23. "Who did you login as ?" 21. "It's WAD (Working As Designed)"
8. "It works, but it's not been tested."